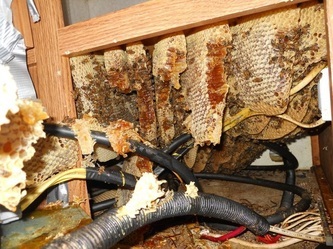 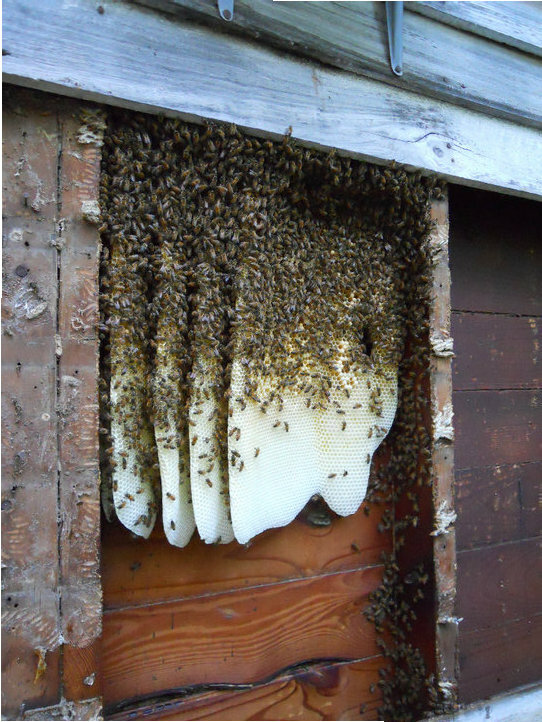 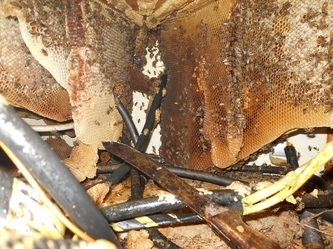 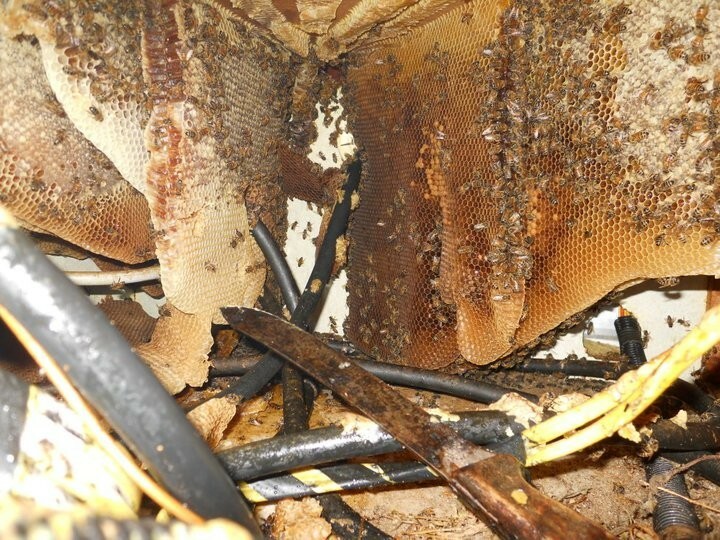 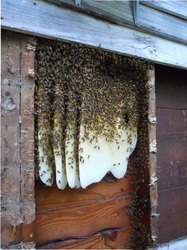 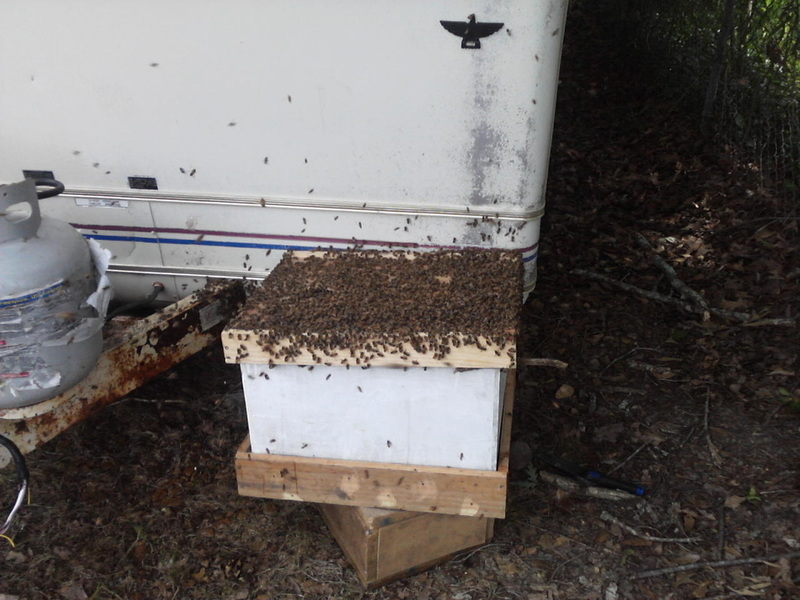 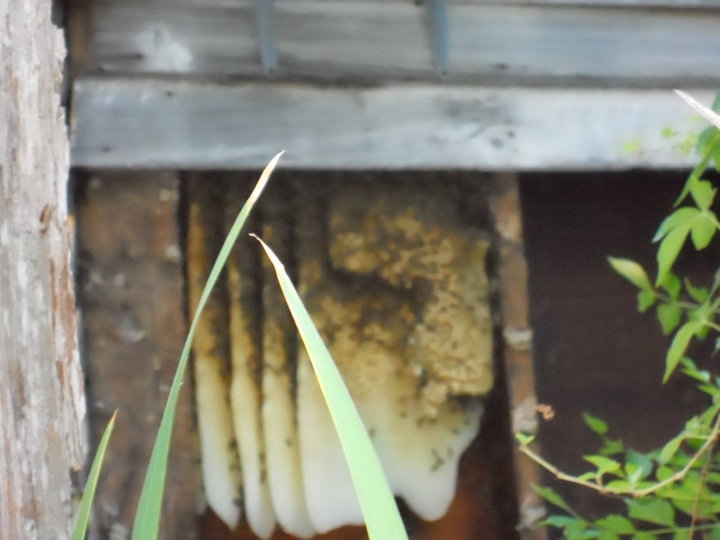 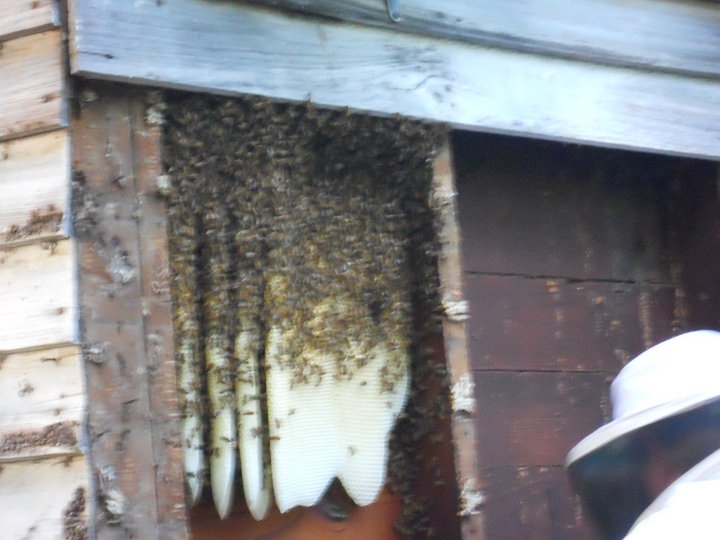 This was a late season removal so I bought them a box of Honey Super Cell (fully drawn box of plastic frames). 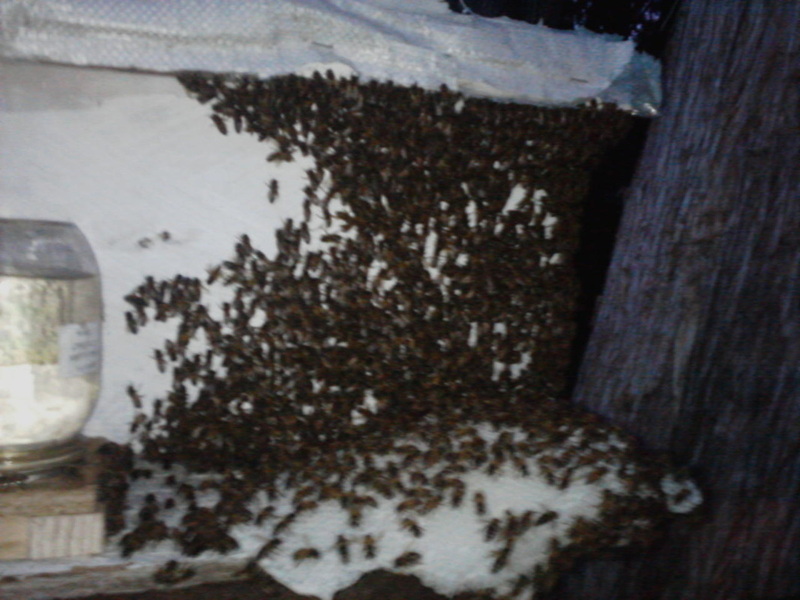 Then I heavily feed them sugar water and most of their honey I got from the removal. Well they made it right on threw winter. 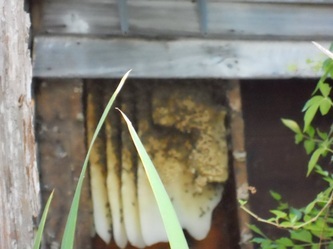 Spring they built up very strong and I didn't check them as often as I should have so they swarmed ( so they gave nature another wild Hive of Honey Bees). 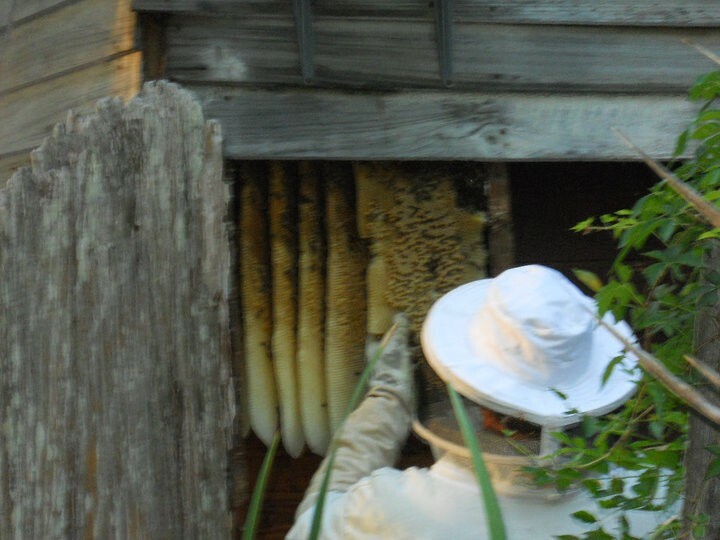 After the swarm they went queenless so I ordered 2 queens from Kelley Bees and I split the remaining hive into two hives so Thanks to Brian Lockhart and the Forestry Service for hiring me were there was one hive now there is 3 and God willing next year it will be 6 hives. 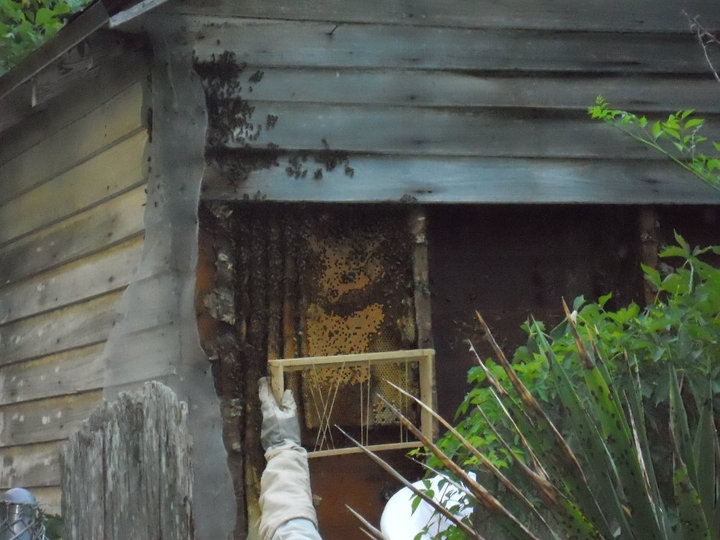 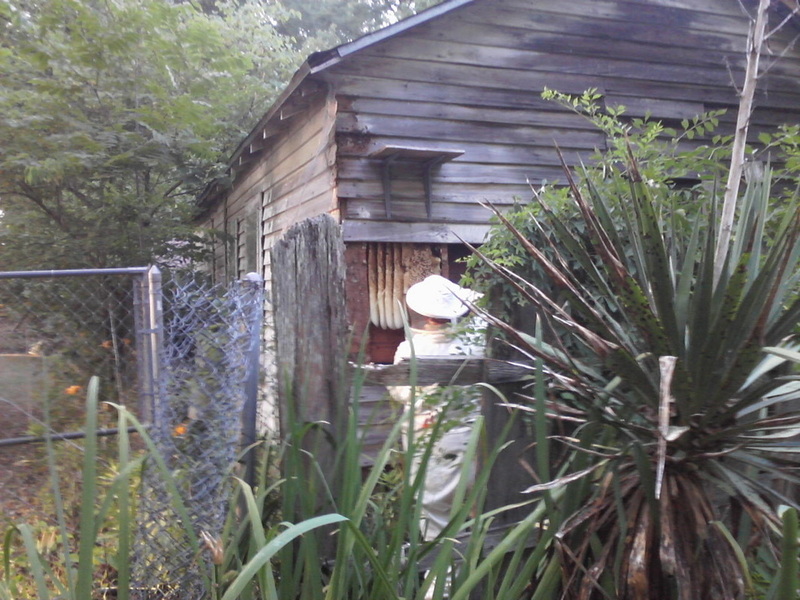 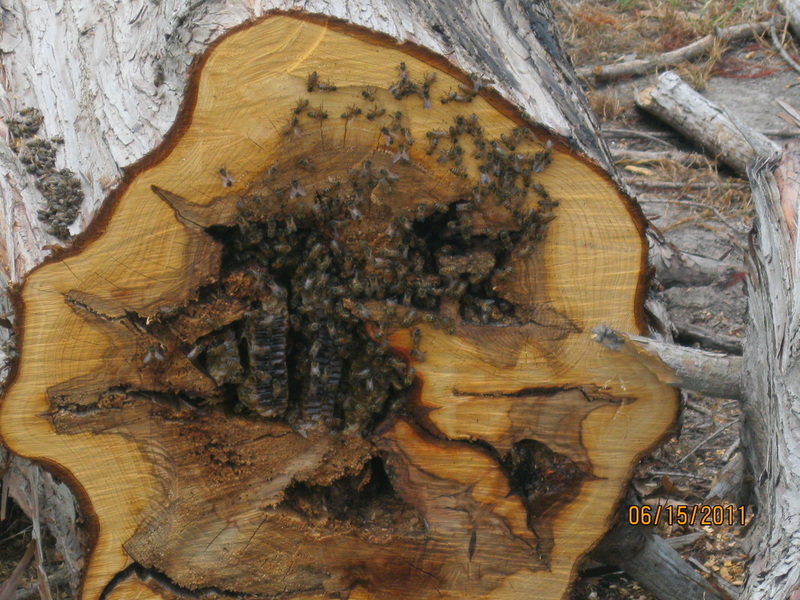 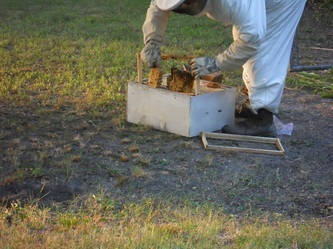 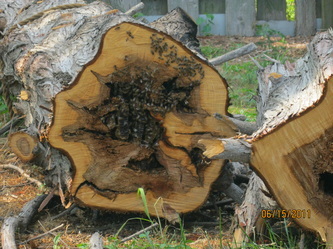 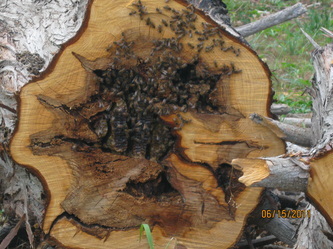 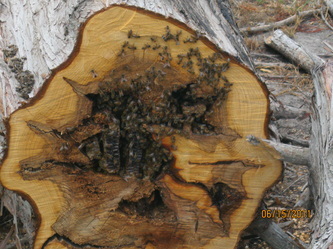 Honey Bee Swarm Removal In a Greenwood, MS Park. 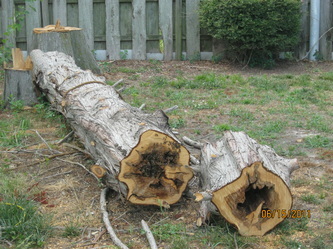 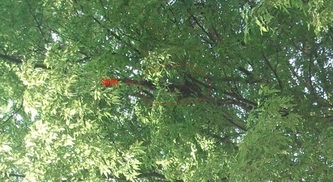 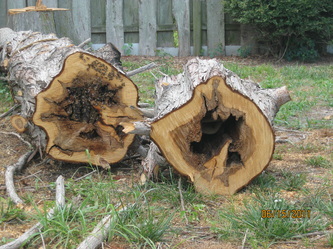 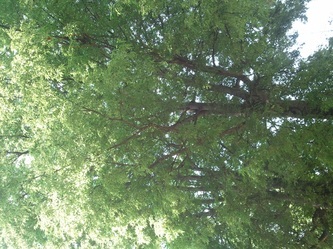 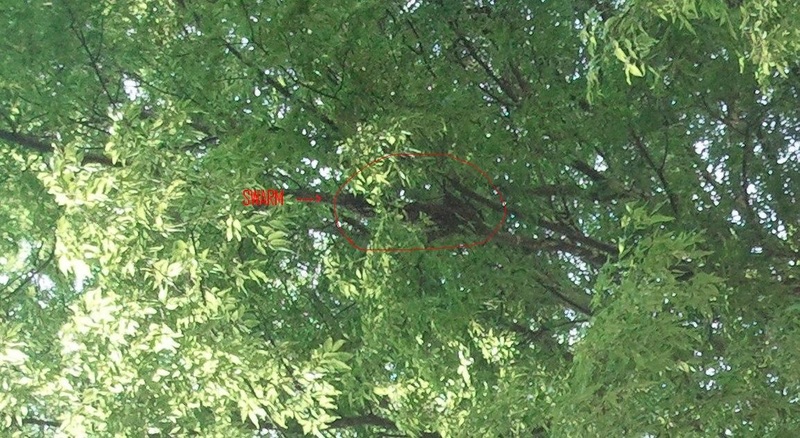 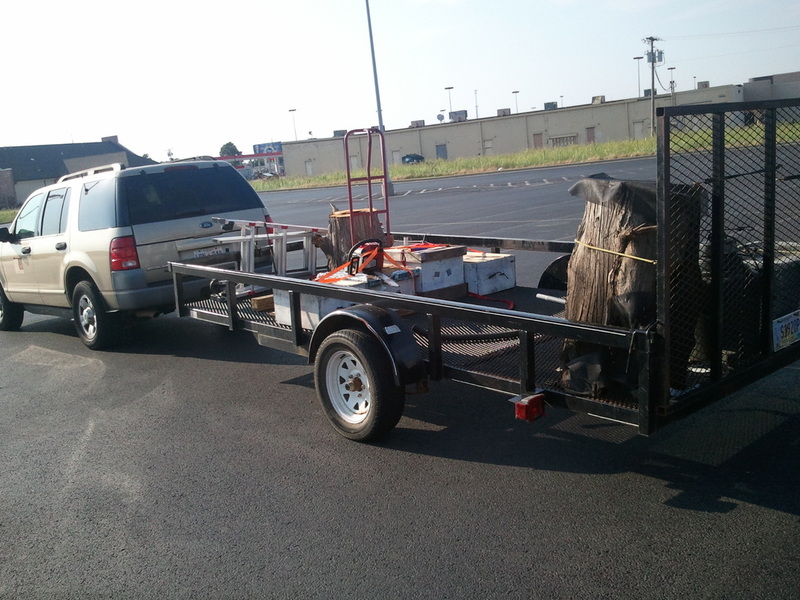 Bee Tree Removal In Greenville, MS.